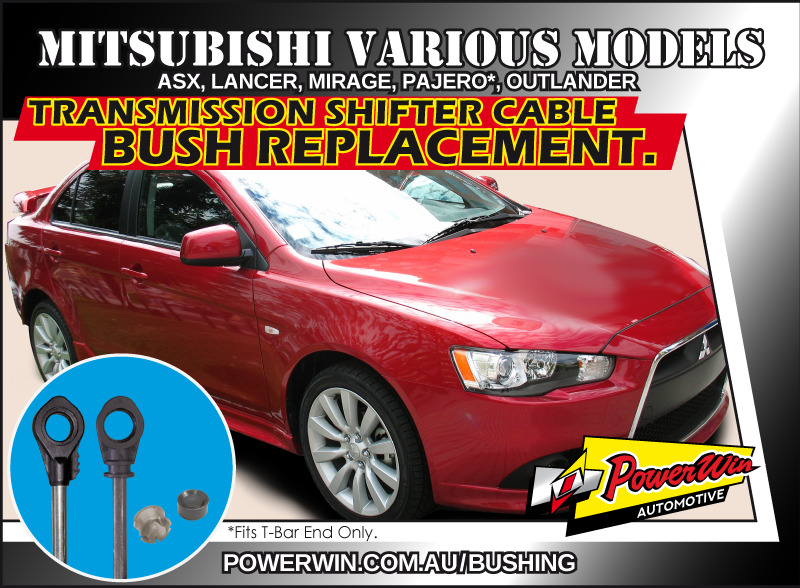 Mitsubishi ASX, Lancer, Mirage, and more Transmission shift cable end bush. Transmission Shifter Cable Bush Replacement kit. Will fit many models of Automatic Mitsubishi's including Mitsubishi ASX (2010 - 2018), Lancer (2002 - 2017), Lancer EVO (2008 - 2015), Mirage (2012 - 2018), Pajero NM V6 (1999 - 2006): T-Bar end only, Outlander (2006 - 2018).